petition: "Why are they trying to kill us? Boulder City Council, please save our colony!" "Why are they trying to kill us? Boulder City Council, please save our colony!" URGENT: A kill permit has been filed with the City of Boulder that will grant a developer, on what is called the “Armory” property, the permission to annihilate a beautiful colony of prairie dogs this coming fall. The excuse for this atrocity is that there is nowhere for them to go! We are asking the City of Boulder to open up 10 acres of our public land for these prairie dogs. Currently, 45,000 acres are set aside as Open Space and Mountain Parks to help preserve wildlife habitat. We want the Open Space grasslands to teem with the native plants and the many threatened and endangered animals that depend on the prairie dog, a keystone species, for survival. City of Boulder, reassess your priorities for how these grasslands are managed and open up 10 acres for this beloved colony! You can help! The survival of these beautiful prairie dogs depends on your actions! Please sign now to let the City of Boulder know this colony must be relocated as soon as possible onto City Open Space grasslands! UPDATE: The City of Boulder and the Armory developer have agreed to move the Prairie Dogs to city owned land!!! We need to keep the attention focused on the details, because the agreement hasn't been finalized yet, but this is an amazing step, and due to your hard work!!! 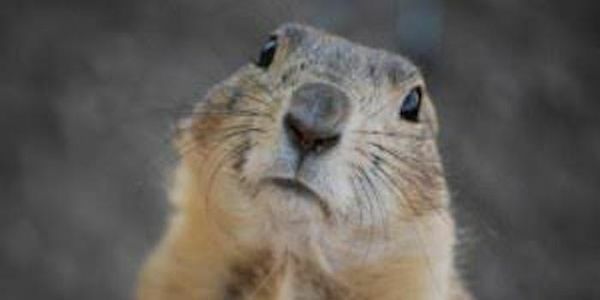 The Armory prairie dogs need you to approve 10 acres of open space public land for their relocation so they will not be exterminated this coming fall. Open Space and Mountain Parks in Boulder is claiming that they can't relocate these prairie dogs because they have two other colonies that need to be moved this year. Those colonies are protected and are not in danger of destruction and have beautiful prairie homes on public land. It is within your jurisdiction to override that decision and insist that the Armory prairie dogs are given precedence to be relocated at the developers expense, as has already been agreed upon. Many residents of Boulder City do not want to see this colony annihilated and we are asking you to help concerned residents of Boulder and Prairie Protection Colorado safely and viably relocated this colony. BIG WIN: The developer and the City agreed to move the colony!!!! But we need to make sure the move is successful! The developer has hired an agency to move the colony that is also in the business of colony extermination. Unless best practices are used, many PD's may die during the process, killing off the colony. Contact City Council (council@bouldercolorado.gov) and Developer Bruce Dierking (bruce@packarddierking.com) and urge them to hire local PD experts that use best practices! BOULDER: Please join us Tuesday, August 2nd, at the Boulder City Council meeting, 1777 Broadway, and help us insist that the Armory prairie dog colony is given a new home on public lands in Boulder City. We will be delivering our petition to the council members with over 75,000 of your signatures urging them to save this precious colony. Not in Boulder? Share to help us top 80K! BOULDER: Come join us Thursday for another demonstration at the SE corner of Broadway and Lee Hill Drive from 4-6pm. Not in Boulder? Keep sharing the petition - sharing is how we win! For more information on the campaign for the Armory prairie dogs, please visit our newsletter. Thank you! Join us this Saturday from 9am to 1pm at Broadway & Canyon Blvd to rally against the kill permit for the Armory prairie dog colony. Bring signs, enthusiasm, and a love for the prairie dogs and help us inspire Boulder to take action to save these beautiful animals. Not in Boulder? Keep sharing the petition!